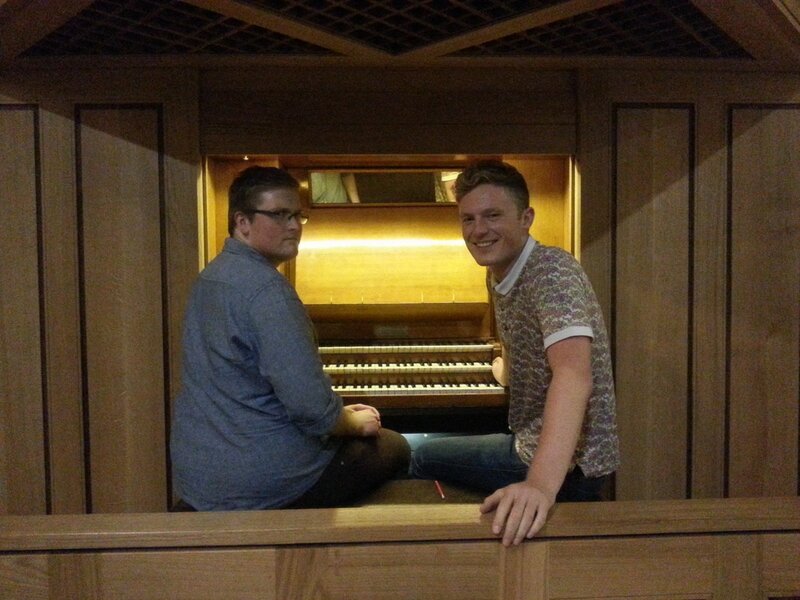 The Highest and Lowest Notes on an Organ is an open score durational piece where the highest and lowest notes on any organ are held down continuously. It explores organs as idiosyncratic found objects, fixed in different spaces – machines that produce sound on an industrial scale. It was performed for five hours, from 5pm - 10pm, at St John’s Notting Hill on September 20th 2014. 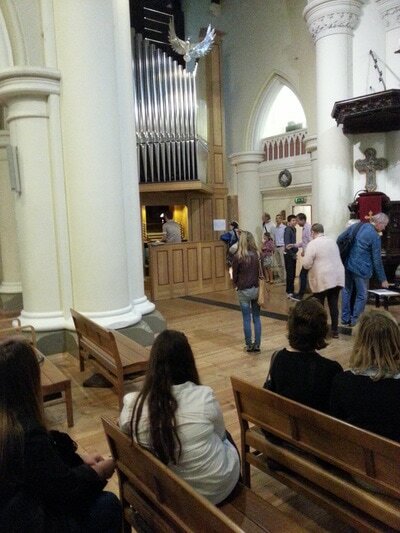 Listeners were able to come and go as they pleased, staying as long as they liked and were encouraged to move around the space including round the back of the newly restored organ. It was an opportunity to explore the physicality of the instrument, its relationship to its spatial and sonic environment and the nature and boundaries of the listener's perception. There was also the opportunity to participate - listeners could perform the piece of music for part of the duration, holding down the highest and lowest notes. Edward Henderson is a composer based in south London. He makes work with instructional scores, found sounds, found objects, repetition, duration, physical theatre and audience participation. His work on this piece has so far included making recordings at St John’s College, Cambridge; St Stephen’s, South Dulwich; St Paul’s, Deptford; St Francis and St Mark’s, Camberwell; and St John’s, Notting Hill. You can hear the 10 minute recording he made at St John's Notting Hill below - this was recorded before the performance described above. 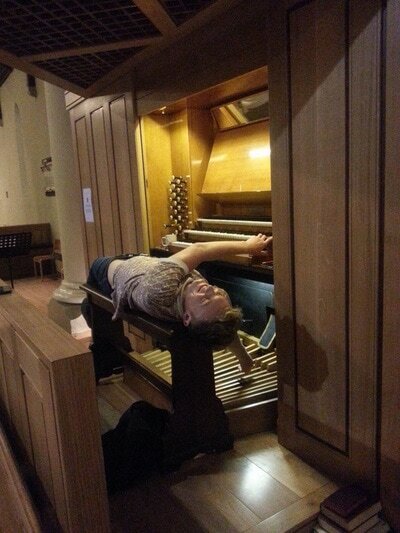 Photos above of Edward Henderson performing this piece on the organ at St John's Notting Hill.